Fire is a very real threat in domestic and commercial kitchens, so it is important to have a fire blanket installed and tested in your kitchen. Jim’s Fire Safety offer fire blanket testing services, as well as advice on how to optimise the safety and accessibility of your blanket. 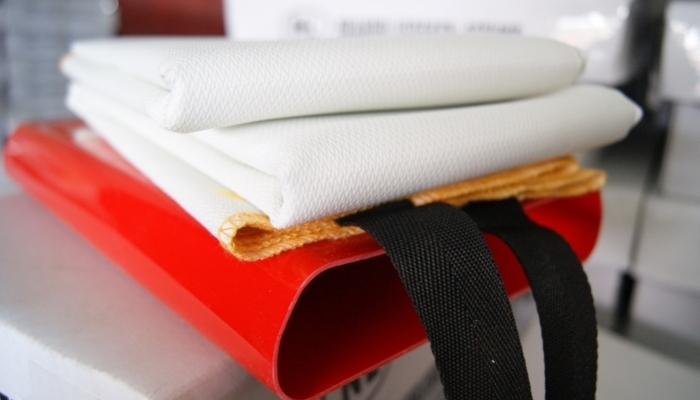 Fire blankets are perfect for use on class F fires, (involving cooking fats and oils) as well as clothing fires – where a person can be wrapped in the blanket, suffocating the flame. The blanket works by cutting off the oxygen supply and smothering the fire. A faulty blanket could be difficult to remove from its casing or have a tear that would allow the flow of oxygen through and fuel a flame. Your blanket needs to be immediately accessible and safe for use in an emergency. Prevent harm and property damage by ensuring your fire protection blanket is maintained. Ask one of our safety testing staff to examine your fire protection equipment and prepare your building for a fire. We are dedicated to eliminating preventable harm – invest in safety today and you will thank yourself tomorrow. How often do I need Jim’s fire blanket testing? Our team members carry out fire protection equipment testing according to the latest Australian safety standards. You can be sure that your business is compliant with periodic testing and maintenance. Check that the location sign is visible and correct. After we have completed each of the tests detailed in this section, we will provide you with a report for each item. You can check that all of the required tests are completed and that your blanket has been certified as safe for use in an emergency. When you employ someone to carry out a fire blanket inspection on your property, you should always receive a log book with the results. This is essential for compliance purposes. We keep all of our test reports on file so that you can always access proof of your efforts to secure a safe working environment. Does my business need a fire blanket? Is your business in a commercial kitchen? Do you work in a school with a home economics room or a canteen? Are you the owner of a food truck? Do you deal with flammable liquids and oils on a daily basis? You need a fire blanket and regular fire blanket testing. You owe it to yourself and your employees to make sure your workplace is a safe environment. Of course, there is no way to entirely eliminate risk, but you can be prepared should an accident happen. Having the suitable protection equipment on hand can save valuable moments in an emergency. Save a life (and potentially, your business) by installing and maintaining a fire protection blanket. You can contact our team for a recommendation about which fire protection equipment you need in your space as well as common equipment manufacturers. Once you have the fire blanket installed in the correct area, you need to maintain it with regular fire blanket inspections. There’s no point having a blanket if your employees can’t use it for protection when they need to. Call Jim’s Fire Safety and ask us to check both the accessibility and functionality of your fire protection blanket. Why should I choose Jim’s Fire Safety for fire blanket testing? Jim’s Fire Safety technicians are the best in the business. Our team have over 10 years of experience in fire safety testing and risk assessment. Not only are our staff professional and polite – they care about the outcome of their projects, and will always work to ensure the highest standard of safety. We provide each of our clients with a report that contains testing information for each of the protection pieces we inspect and test. Take advantage of our options for notification of scheduled maintenance. You can request that our team contact you when your equipment is due for maintenance. Compliance is easy when you are aware of your obligations. Our technicians can ensure you never miss a testing appointment with our data management system. Our testing staff undergo rigorous ongoing training to make sure each business receives the high level of service we strive for at Jim’s Fire Safety. Each technician will adhere to the latest compliance standards and go above and beyond to ensure your building is prepared for a fire. If you suspect a defect in your fire blanket and you are not due for scheduled maintenance, our team always recommend testing the blanket as soon as possible in order to avoid harm. Our dependable fire testing team are committed to your safety – we want to prevent vulnerable individuals from risk. Given that these fire blankets are so important, it’s critical that they are appropriately maintained and ready should they need to be used. This is why you should turn to Jim’s Fire Safety for your fire blanket testing needs. Our technicians work to hone their skills and complete each of their jobs with the highest possible level of skill and professionalism. Together, our team has over 150 years of experience, and we have all used that time to learn and hone our craft to ensure that we continue to deliver the best results regardless of which fire safety equipment we are testing.